The Arena Antifog Goggle Spray is applied to the inside lens of your goggles to prevent them from fogging up while swimming. While most goggles come with antifog film on the inner lens the antifog wears off over time. 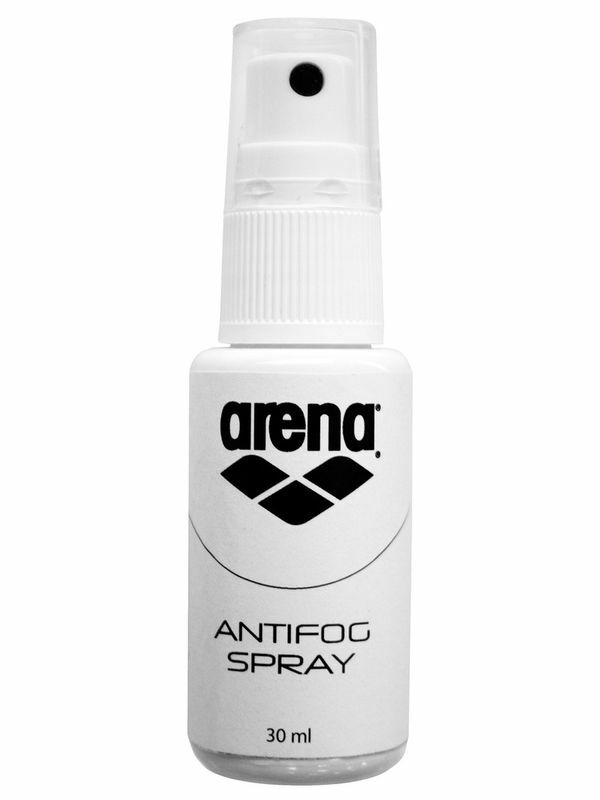 The Arena Antifog goggle spray is the perfect solution to ensure your favourite goggles last the test of time. The spray is easy to use making it ideal for kids and adults. Spray it on the lens and leave it to dry for 5 mins. Antifog Goggle Spray is manufactured by Arena Swimwear, the Official Swimwear & Equipment Partner to Swimming Australia and the Australian Dolphins Swim Team. For over 35 years Arena has equipped the world’s leading swimmers and lovers of watersports with racing, training, and leisure swimwear and accessories built on a foundation of in-depth research, technical know-how, and an unyielding commitment to quality. Arena is the authentic waterwear brand for athletes and real sport lovers. Wherever there are water sports, there is Arena.